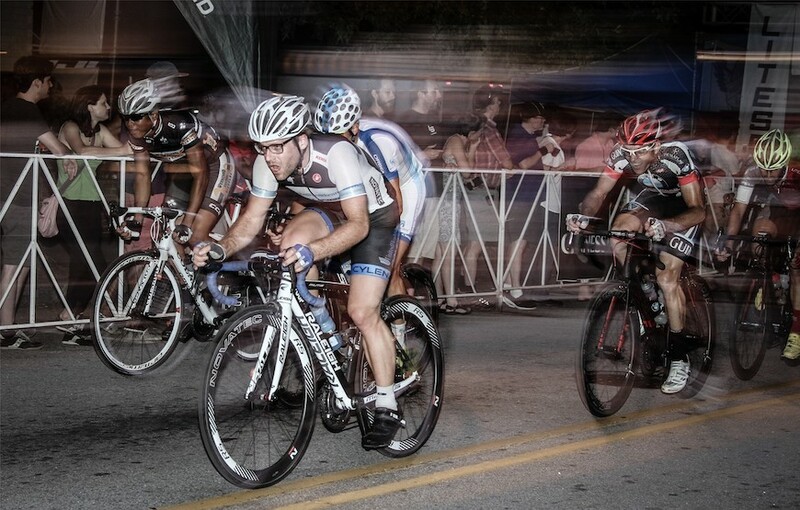 The Litespeed BMW East Atlanta Village Twilight Criterium was a recent target of the United Healthcare/706 Project Cycling team. Brendan Cornett, Chris Deluise, David Cueli, David Goodman, Daniel Holt, Fletcher Lydick, and Frank Travieso were in attendance and eager to impress in front of a favorite local event. On-the-mend Andy Scarano directed the boys from the sidelines! The tight course is well known for its high attrition rate and started just as fast as it would finish with everyone eager to get in the breakaway. East Atlanta Village is famous for riders lapping the group early. 706 were on high alert and covered every move until a break of four riders established themselves. The team was happy with this, as Brendan Cornett had made his way into the break, which would ultimately lap the field. It seemed to be a race between the four riders who had lapped up, but then, through a post-prime counter attack, Frank Travieso found himself up the road with Jordan Heimer. With the prime in his pocket and a rider to work with, Frank buried himself and with Heimer’s help, the duo put a lap on the field in short order -- it was now a race between 6! Soon after Frank lapped the field with nine laps to go, the team gathered at the front of the race and organized a textbook lead-out that saw Brendan and Frank sitting at the back of the train, designated as the sprinters having both lapped the field. Though Astellas Pro Cycling’s Thomas Brown would manage to squeak by Frank and Brendan through the final technical corners of the race for the win, Frank and Brendan sprinted to 2nd and 3rd place respectively, several bike lengths ahead of 4th. The average speed for the night was 45km/h – what a race!